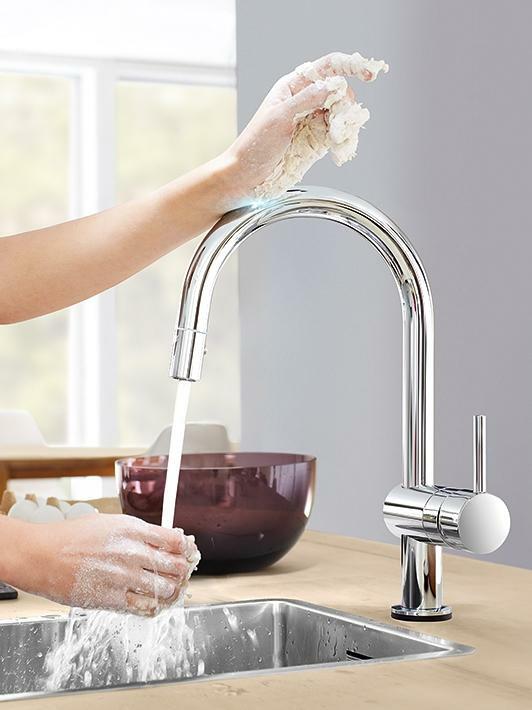 Modern, timeless, beautiful. 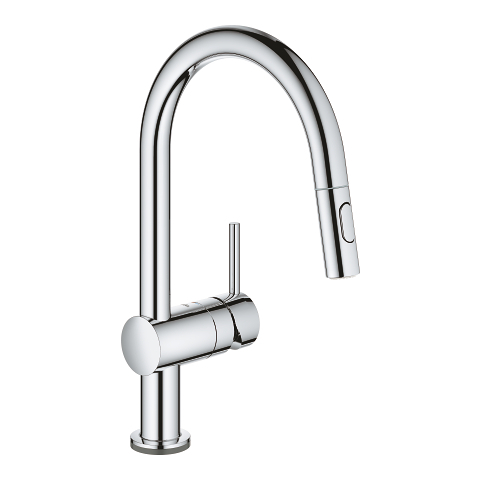 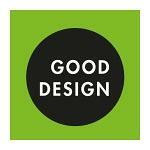 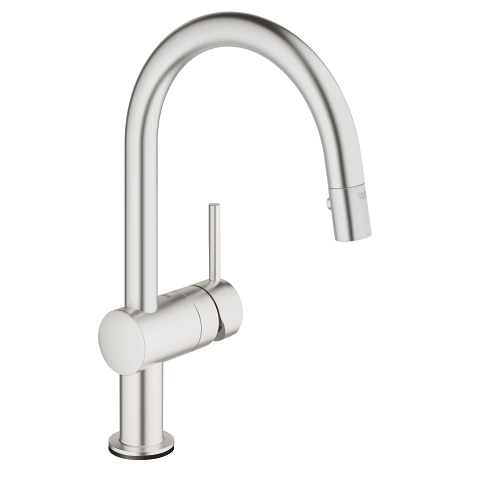 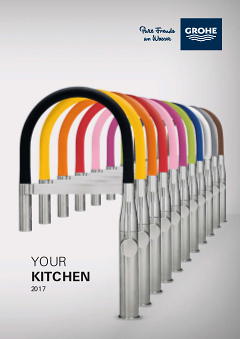 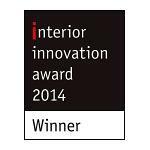 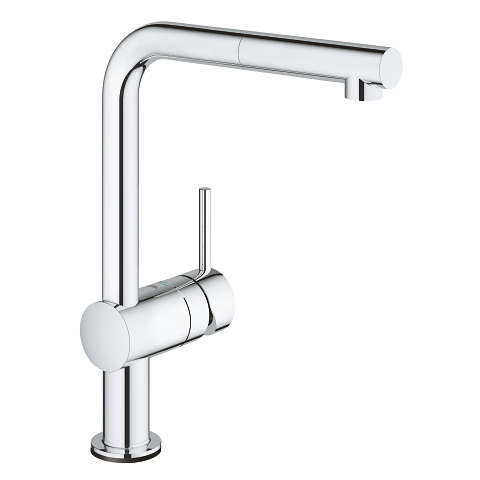 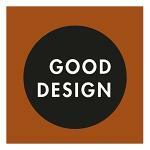 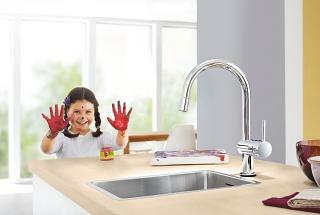 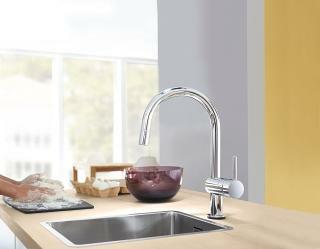 GROHE’s successful kitchen range Minta takes another step on with our latest innovation. 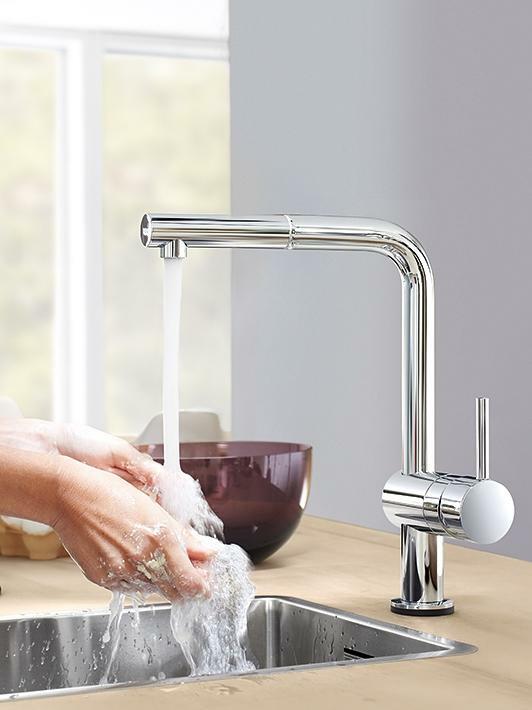 The GROHE Minta Touch comes with a small but distinctive difference: with its EasyTouch technology, it instantly reacts to the slightest touch, letting you turn it on and off without leaving a mark. 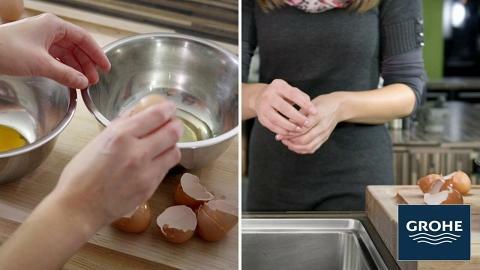 There is no need to use the lever if your hands are dirty from cooking. 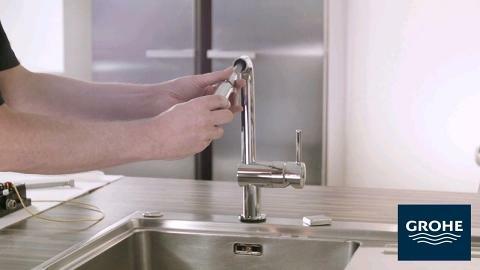 Just tap with the wrist or forearm for perfect control every time. 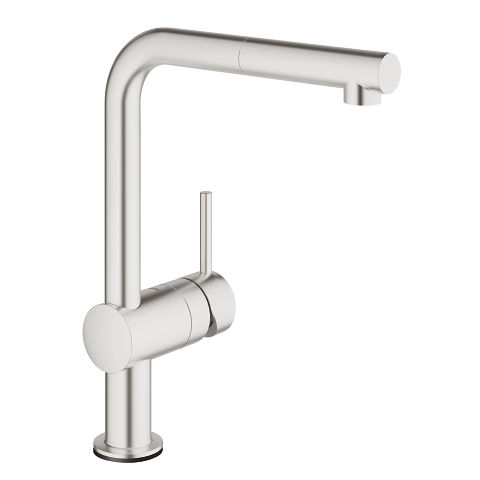 This practical, hygienic technology is seamlessly integrated, meaning Minta retains the same gorgeous good looks as before. 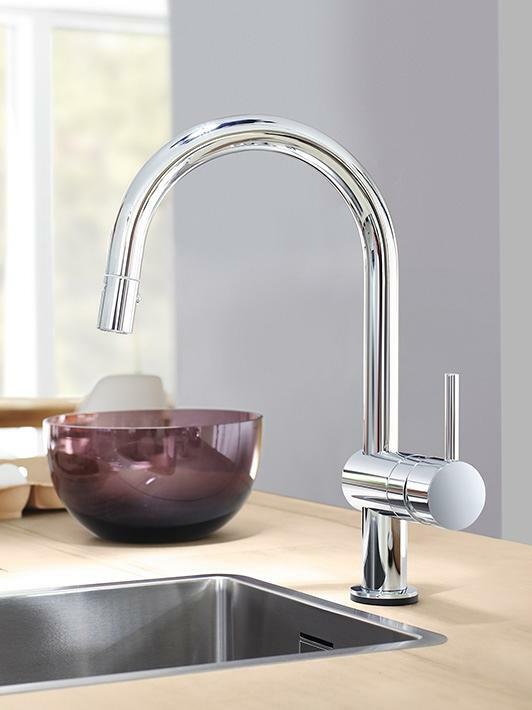 It’s available as a curved C-shaped swivel-spout with pull-out mousseur spray or the striking L-shaped swivel-spout with pull-out mousseur - the choice is in your hands. 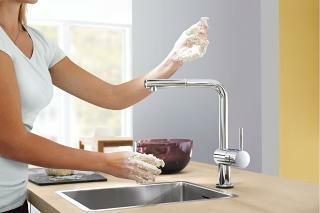 If your hands are clean, simply hold it. 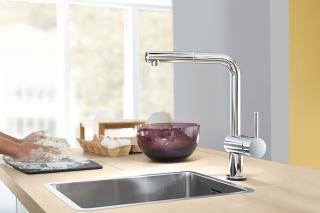 You can adjust flow and the temperature with the lever. 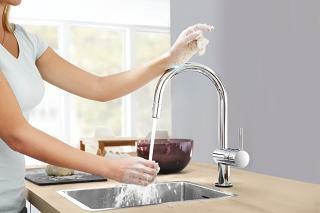 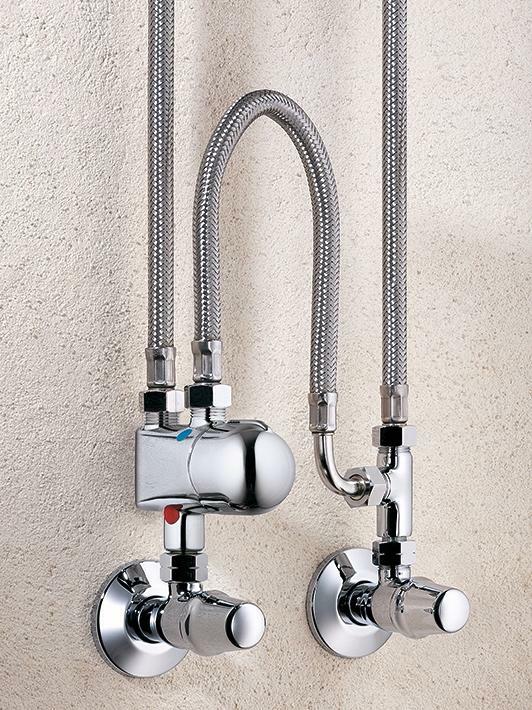 GROHE Minta Touch – a hybrid tap that intelligently unites two operating functions.